Yesterday the Vatican released the final report on its unprecedented investigation of Roman Catholic sisters in the United States. 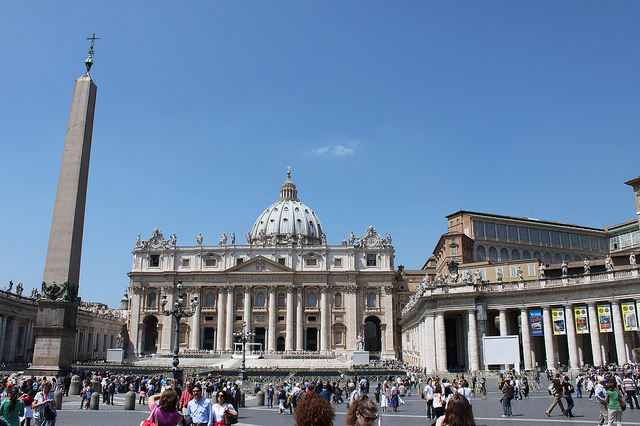 Six years ago, when the Vatican announced the apostolic visitation (its formal name), many of the sisters whom the investigation affected responded with hurt and anger. Yesterday, thanks largely to competent, spiritually grounded leadership on the part of American sisters, the spirit was conciliatory. First of all I would like to express thanks to Mother Mary Clare. The organization, preparation and carrying out of this enormous undertaking was truly amazing. The training of the team of religious who visited our institutes resulted, when the time came, in a great sense of freedom. . . Despite the [initial] apprehension, today we are looking at an affirmative and realistic report which, we know, is based on the study of written responses and on countless hours of attentive listening. While more work of healing and rebuilding trust remains, the outcome of the visitation is more positive than many expected. It provides a good foundation on which to build. American nuns have much to teach the world about soulful leadership. Remaining spiritually grounded, working with mutual respect and openness, listening deeply, and utilizing skillful collaborative processes, all can go a long way toward healing hurts, de-escalating conflict, and moving forward. When we can let go of defensiveness and work collaboratively in the midst of potential conflict, unexpected breakthroughs can occur.